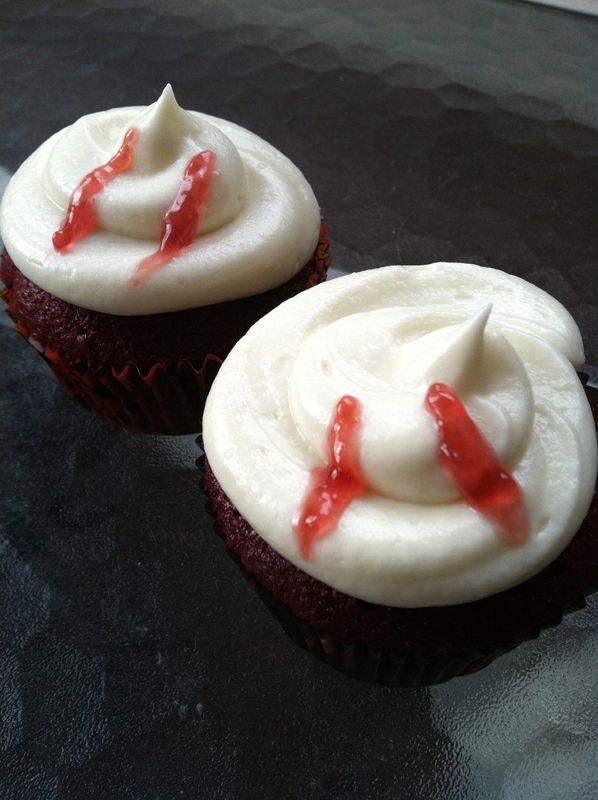 I don’t care if you’re Team Edward or Team Stefan, these cupcakes will bring out the inner, perfectly coiffed blood-sucker in everyone! I used red velvet cakemix and home-made cream chesse frosting to make this quick and easy cupcakes, perfect for last-minute party invites! 1. 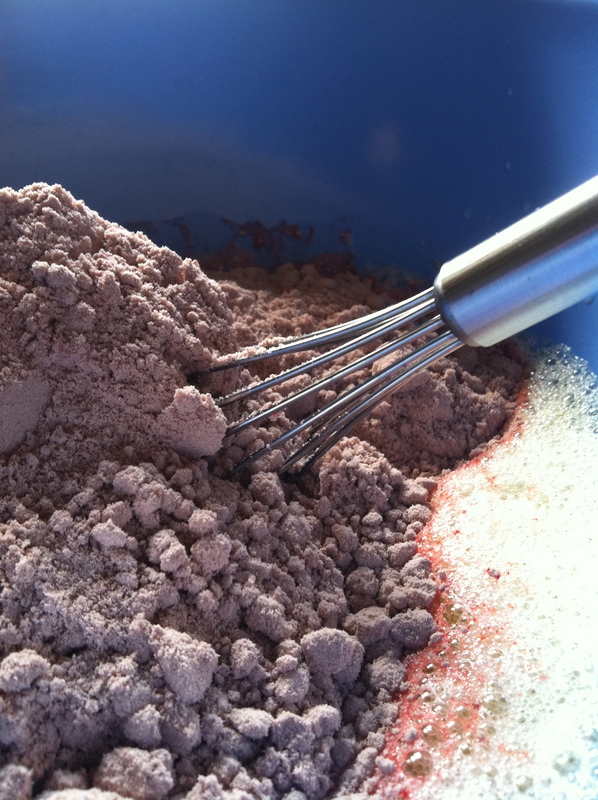 Mix your favorite red velvet cake mix according to the instructions on the box. I have to say, after making these from a box, I am super excited to try a recipe from scratch! 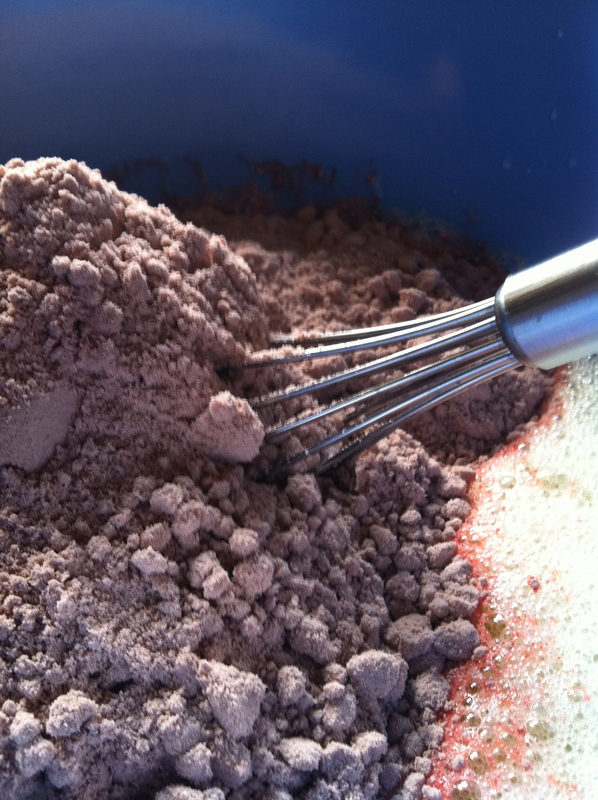 I was fascinated that what started out sort of brownish…. Would suddenly become BLOOOOOOD RED! Note the dramatic dripping effect, much like blood spatter on CSI. Very Halloween-y. 3. 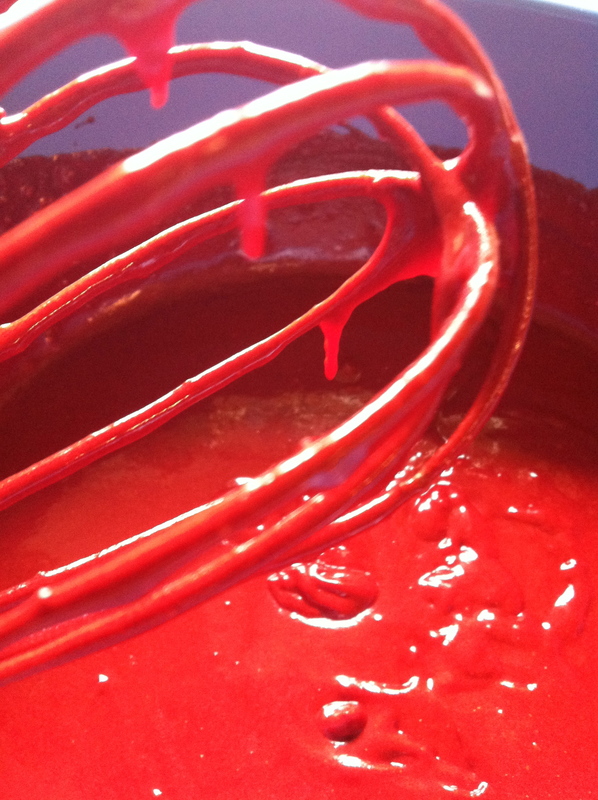 Bake for the allotted amount of time according to your box and you’ll have lovely, deep red cupcakes like these! 1. 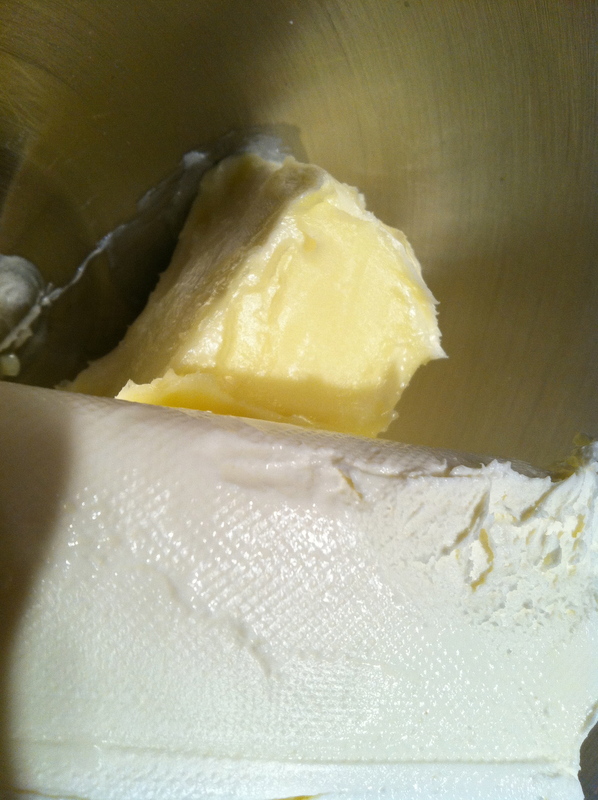 While your creations cool to room temperature, cream the butter and cream cheese together with an electric mixer. 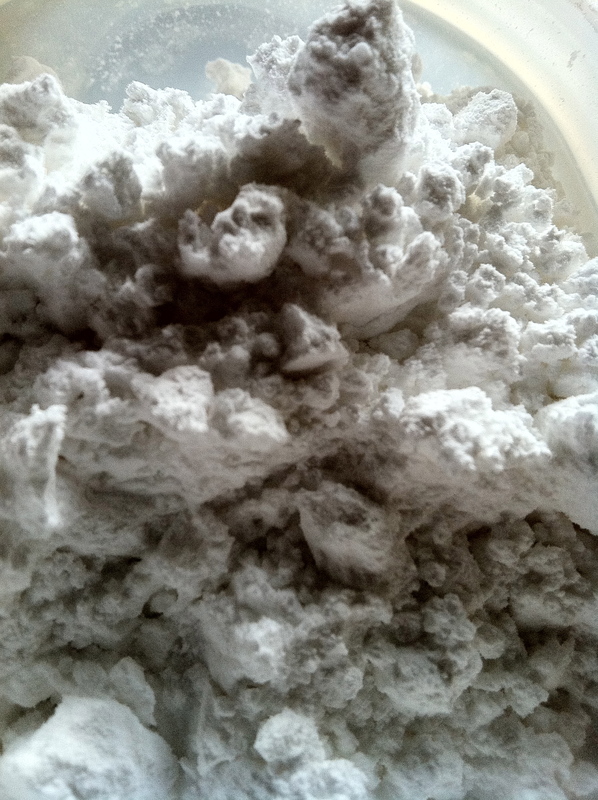 Add the vanilla and slowly add the powdered sugar, one cup at a time, and beat on low speed to avoid inhaling any. 2. 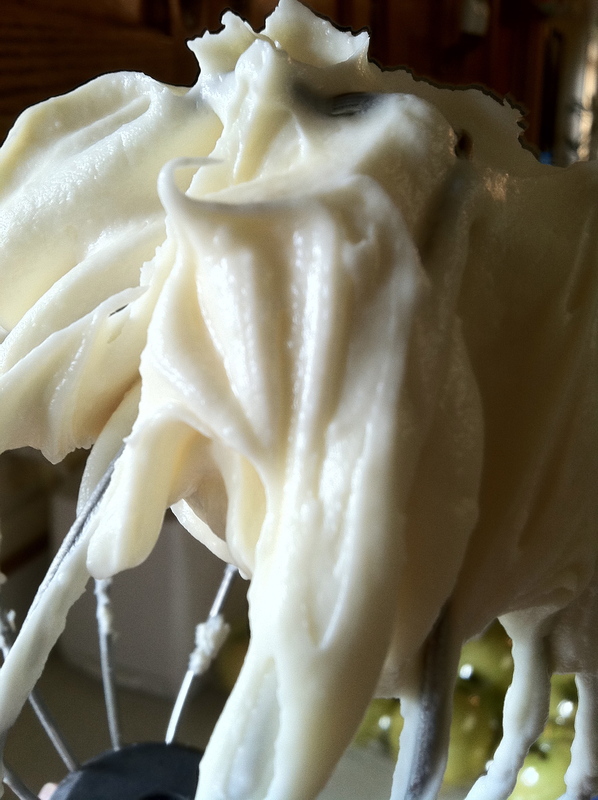 Scoop your frosting into a plastic bag, snip off a corner and use that to pipe your frosting on in cute little swirls. 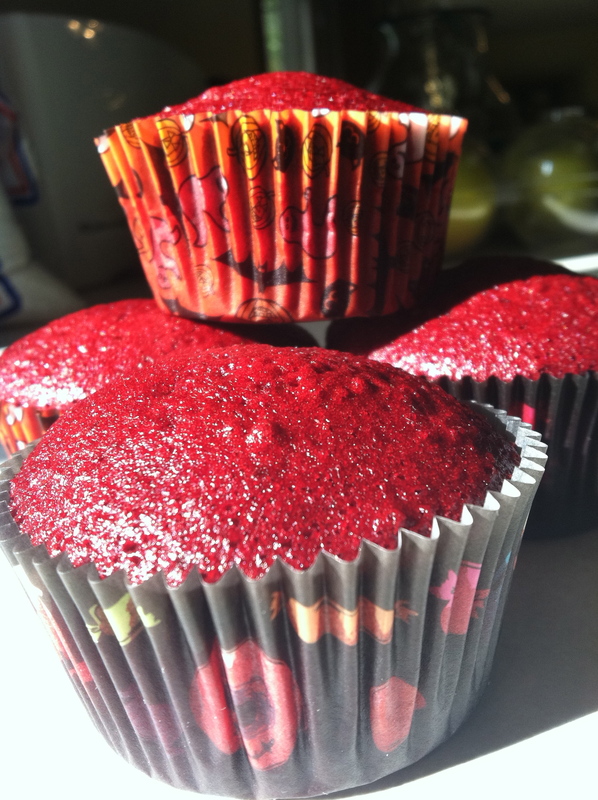 Our poor cupcakes are unaware that they’re soon to be…..
3. BITTEN! Use the plastic bag trick above to pipe on tiny lines of your cherry, or other red fruit, pie filling to make the blood trickling from the bite marks of those darn attractive vampires. This entry was posted in Uncategorized and tagged cream cheese, Cupcakes, frosting, Halloween, red velvet, vampires by theculinarycapers. Bookmark the permalink.